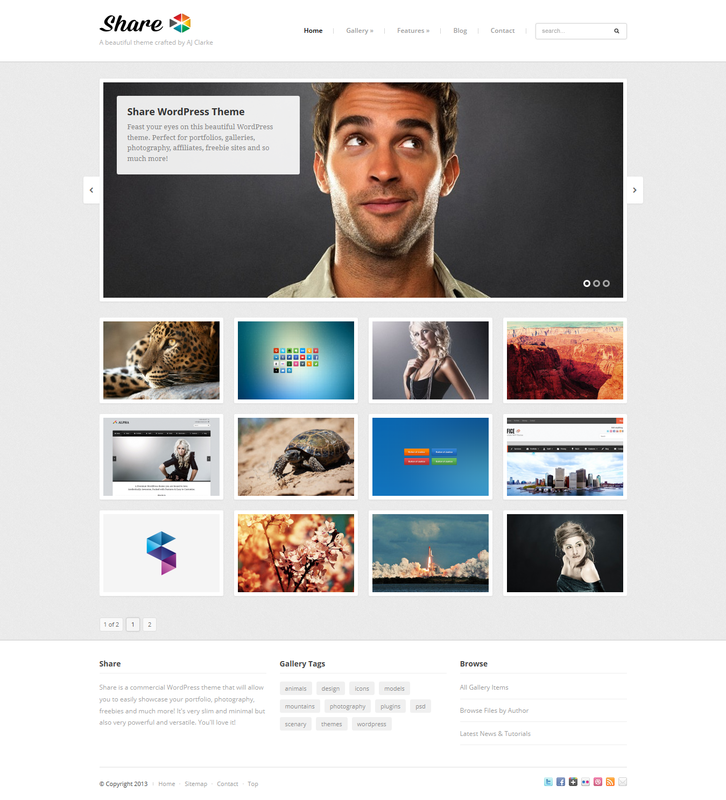 Share has dedicated a lot of time and resources to create a new kind of WordPress theme that is perfect for sharing your work, freebies or thoughts online. This premium photo gallery WordPress theme created for portfolio, photography, affiliate, freebie and blogging sites. If you have a small design company you can showcase the work of each of your employees separately, if you own a photography business each photographer can have their own archive or if you are an affiliate sharing other people’s work you can categorize your gallery posts by author/seller. Gallery tags, categories and authors could help you to manage all the showcasing photos. 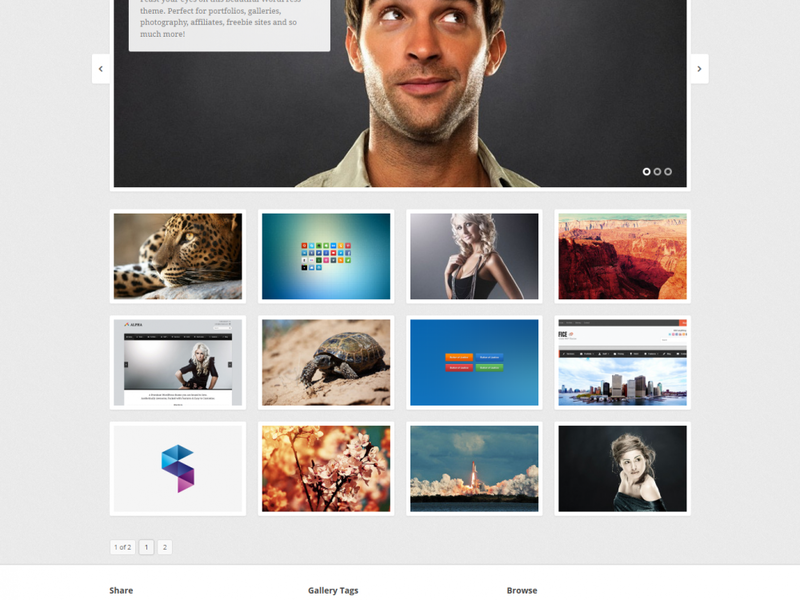 Ideal for portfolio, photography, affiliate sites…and more! Only includes the necessary theme options – no bloat!